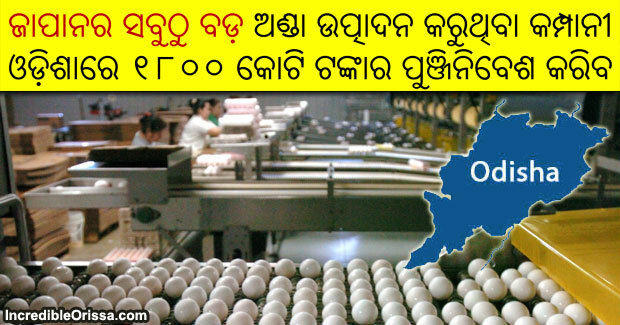 ISE Foods Inc, Japan’s leading egg producer, is in talks with the Odisha government officials to invest $275 million (approximately Rs 18 billion) on a slew of projects. Odisha’s food processing sector, one of the six focus sectors listed in its industrial policy statement of 2015, has got a major boost with a Japanese investment in the offing. With an annual turnover of Rs 30 billion, the Tokyo-based firm is keen to develop a complete, integrated ecosystem for egg production, including a poultry farm, post harvest management, feed mill factory and facility for training & skill development. All the projects need about 100 acres of land. ISE Foods Inc had already signed a pact with the Union government prior to evincing its interest in Odisha. The company aims to work on supply chain integration including areas such as backward linkages with farmers, cold storage, solar and biomass-based renewable energy. A delegation led by the company’s founder is slated to meet the heads of relevant departments in Odisha on April 30, said a source in the know.